Ideal for hospitals, dental offices, medical offices and other healthcare establishments, our Medical Trash Cans provide safe and proper disposal of medical waste. 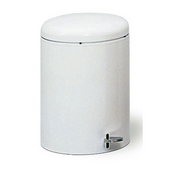 The steel medical waste receptacles feature leakproof liners, hands-free foot pedals and tight-fitting lids. Designed to dispose of infectious waste safely, the steel medical trash cans are also OSHA and OBRA compliant for sanitary standards. The Plastic Medical Trash cans are available in a Red finish and feature an infrared motion sensor that opens and closes the lid automatically for a hands-free operation that means less contact with germs. 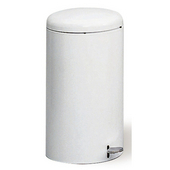 KitchenSource.com offers a wide range medical trash cans from well-known brands like Safco in sizes to accommodate every setting.